Many of us are familiar with the concept of time dilation, though we may not know it by that name. Through the worlds of science fiction, we often read about the relativistic effects of traveling at or near the “cosmic speed limit” known as speed of light. Many of you may not know, however, that time dilation actually occurs with respect to gravitational pull as well. You may also not know that the effects of time dilation have been observed in experimental settings using atomic clocks. In fact, the astronauts living and working onboard the International Space Station (ISS) get to experience both types of time dilation. So what is time dilation? Essentially, it is an effect predicted by the theory of relativity in which two objects moving relative to each other, or situated differently with respect to the pull of gravitational masses, experience an observable difference of time between them. An atomic clock can actually be measured to tick at a different rate when compared to a second observer’s own atomic clock. You may think that perhaps this is related to a mechanical difference between the clocks, or from the fact that signals take time to transfer back and forth, or even the fact that light itself takes time to reflect back and show the observers what they see. This is not the case. It is a natural phenomenon in our universe, explained by mathematics and tested through experimentation. In relative velocity time dilation, a person approaching the speed of light would experience time at a slower rate than those observing the traveler. In other words, the faster the relative velocity, the greater the magnitude of time dilation. One could hop onboard a starship, travel for a few weeks, and arrive back at Earth to find that thirty years had passed by. In a way it is like time travel, except you are limited to a one way trip. In gravitational time dilation, observable time actually speeds up the further you get from the source of gravity. A person at sea level would experience slower time than someone at the peak of Mount Everest. Gravitational time dilation is also the direct cause of gravitational redshift. Redshift is the process by which electromagnetic radiation (light, radio waves, microwaves, gamma waves, etc) originating from, or passing through, a high gravitational field is reduced in frequency when observed in a region of a weaker gravitational field. There also exists a corresponding blueshift when moving in the other direction. Since time slows down with increased gravity and increased velocity, this means that astronauts on the ISS experience two opposing effects of time dilation. They are further away from the Earth, so their time speeds up. They are also traveling at high velocity (17,000 mph (~27 500 km/h)), so their relative time is slowing down. The effects of the relative velocity time dilation is actually stronger than the effects of the gravitational time dilation, so when the astronauts return to Earth after their 6 month stay, they have aged less than the folks in mission control that stayed on Earth. The difference is about 0.007 seconds. As you can see, this phenomenon can present a bit of a challenge for the science fiction author. One must either choose to accept this as fact and apply them to the story, or come up with a way around them. For sufficiently high speeds the effect is dramatic, and space travellers could leave on a light-speed mission, and return to Earth billions of years in the future. In the Planet of the Apes and the Ender’s Game series, the authors chose to accept this limit as fact and apply it. In other works of science fiction, such as Dune, Star Trek and Star Wars, they found ways around it. In Star Trek, warp drive is a concept that uses a bubble of “normal time” to surround the spacecraft and allow them to get around the relativistic impacts of their faster than light travel, and continue to be able to interact with objects in “normal space”. Star Wars uses “hyperspace,” which is an alternative region of space coexisting with our own. Entering hyperspace requires some sort of shield to protect the craft, and traveling through it allows the people to move from point to point faster than the speed of light, but they cannot interact with objects in “normal space.”. Dune uses a concept that folds space at the quantum level and enables travelers to move from point to point instantaneously. Of course there are many holes and mathematical improbabilities associated with faster than light travel, but I find a universe where I can travel from place to place without having to worry about when I leave and arrive relative to my speed to be a lot more fun to write about. I don’t want to believe that it is impossible for me to explore faster than the speed of light. Of course there are also holes and issues with existing theories of relativistic time dilation, and the interactions of the microverse with the macroverse, and no matter how many times I hear people say something is impossible, I would rather think of it as improbable. To say that we as humans have learned all that there is to know, and that we truly understand the universe we live in is a farce. There is always something more to do and something more to learn. If it can be imagined, it can in all probability be achieved. After NASA retired its shuttle fleet in 2011, it left the United States without a domestic way to transport astronauts and cargo into space. The International Space Station (ISS), of course, is up there 24-7, and funded until 2020. It may even operate until 2028, but that dream can only continue with the continued transport of people and cargo to the ISS. Right now for humans, our only source for transportation is the Russian Soyuz. Russia, Japan and Europe were able to help us transfer cargo via Progress, HTV and ATV respectively. But, until Dragon’s successful mission in May this year (2012), no cargo vehicles could return a significant volume of payloads to Earth. Of course it doesn’t have the payload capacity of shuttle, but it is certainly a step in the right direction since Progress, HTV, and ATV all burn up on re-entry, and Soyuz has an extremely limited payload capacity. Dragon is the first commercial vehicle in history to successfully attach to the ISS, and is a great leap in getting the United States a foot hold in manned space flight again. Previously, only government entities had ever accomplished such a mission. SpaceX is working to get a crewed version of Dragon, which would carry up to seven astronauts to the ISS, and potentially deep space destinations such as Mars. Their target launch price for crewed flights is roughly estimated at $20,000,000 per seat, which is a significant contrast with the current Soyuz launch cost of $63,000,000 per seat. Plus, this keeps that money here in the United States rather than investing overseas. Dragon is expecting to begin flying people to space within the next few years. So what else is coming for the future of U.S. space flight? A lot actually. There are at least 10 new vehicles in the makings, and most of them are commercial ventures though not all of them will go to the ISS. One of the vehicles expected to start this year is XCOR’s Lynx. The Lynx is a two passenger suborbital vehicle that will take humans and payloads on a half-hour flight and then return to the takeoff runway. The Lynx can take off and return to Earth up to four times a day, and at ~$95,000 per seat it is relatively cost effective. It can reach a suborbital alttude up to 100 km (330,000 feet). Virgin Galactic’s has plans for its own two passenger suborbital spaceflight vehicle, known as SpaceShip Two. While the Lynx uses its own rocket propulsion system to get to and from space, SpaceShip Two will be carried by a mothership known as WhiteKnightTwo. At a cost of $200,000 for a seat, Shapeship Two will reach altitudes of about 100km (330,000 feet). Virgin Galactic expects to begin commercial operations in 2013 or 2014. 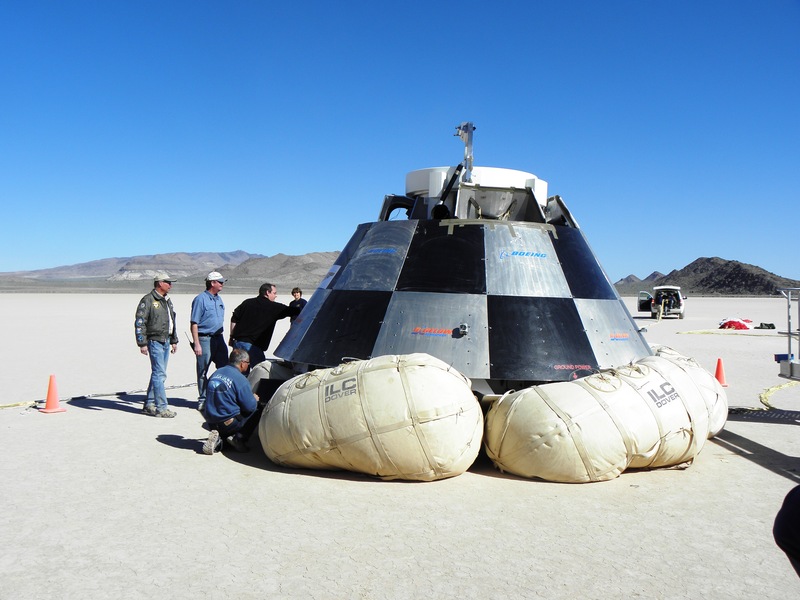 Dream Chaser is Sierra Nevada Corporation’s suborbital spacecraft. It will carry seven astronauts to and from low-Earth orbit, and will launch vertically atop a rocket but land on a runway like an airplane. Dream Chaser’s primary mission will be to dock with the International Space Station and carry both crew and cargo safely into space and back to Earth. This space plane is expected be ready to begin operations as early as 2016. Stratolaunch Systems is working on an air launch system to launch rockets into space from a carrier plane that would be the biggest aircraft in history. The carrier craft will have a wingspan of 385 feet (117 meters), and initially plans to send cargo and satellites into space. Test flights are planned to start in 2015, with real launches in 2016. Eventually, they hope to launch astronauts into space as well. 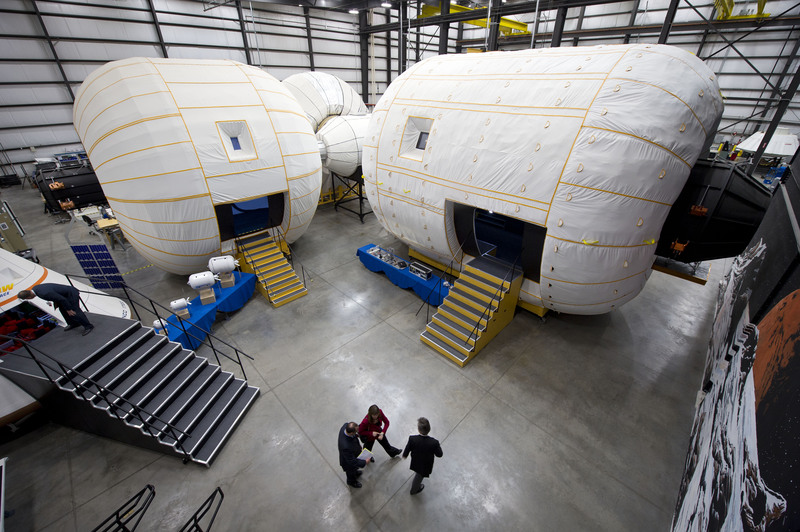 Bigelow Aerospace has a unique outlook on the future of space flight, and is working to design and build private expandable space stations using their inflatable technology. In 2006 and 2007, Bigelow launched orbiting prototypes Genesis I and Genesis II and will eventually launch a module to expand the capabilities of the ISS. They already have partnerships with Boeing and SpaceX to transport passengers and from Bigelow’s “space hotels.” Of course the term space hotel is only a loose label that got applied since Bigelow’s founder is also in the apartment business. Planned clientele is actually slated to include governmental and corporate entities interested in building an astronaut program or performing microgravity research. Blue Origin is developing both suborbital (New Shepard) and orbital space craft (The Space Vehicle), and expects to contract with NASA to transport astronauts to and from the ISS. These vehicles plan use reusable booster rockets, first perfecting them with their suborbital program and then moving on further into their orbital space program. The Space Vehicle should be ready to begin commercial operations between 2016 and 2018. Bigger and more established companies such as Boeing are keeping their foot in the door as well. The CST-100 will carry up to 7 passengers to and from the ISS and low Earth orbit. Each capsule is designed to make up to 10 space flights, and operations are expected to begin in 2016. All images copywrite their respective owners. I just finished up Chapter 20 and my characters surprised me again. It’s interesting to put them in situations and places and see how the plot unfolds. This time a character I had not expected to show up again until later in the book managed to get a cameo appearance. I think it was worth it, though. It allowed me to introduce a concept that I think will be better accepted later on if it’s used first here. Otherwise it would seem a bit convenient.